"Obama learned his lesson well"
al Qaeda leader Osama bin Laden had a valid argument for attacking America on Sept. 11, 2001. 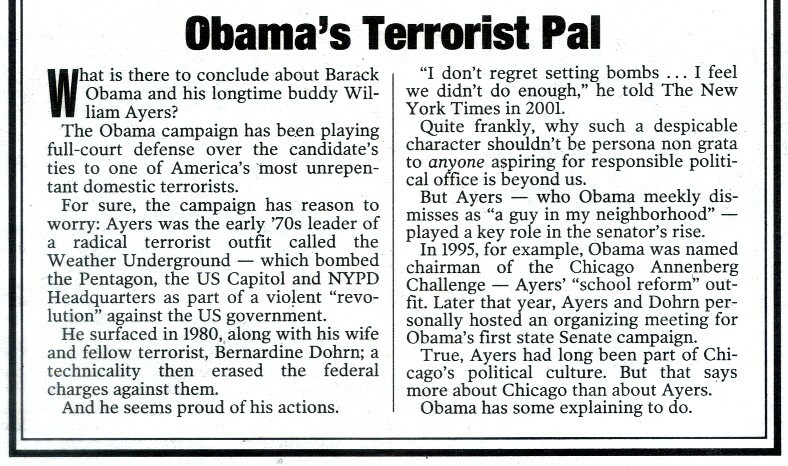 Barack Obama - Bill Ayers Fact Sheet. VIDEOS: "Barack Obama & Friends: A History of Radicalism"
Which Barack Hussein Obama Do You Believe: The Liar or the one forced to tell the truth? Why would Barack Hussein Obama be friends with someone who bombed the Capitol and is proud of it? Checkout Rev. Wright's Retirement Home It Pays Well To Be Obama's 20 Year Mentor. Barack Obama seemed puzzled. Angrily puzzled. 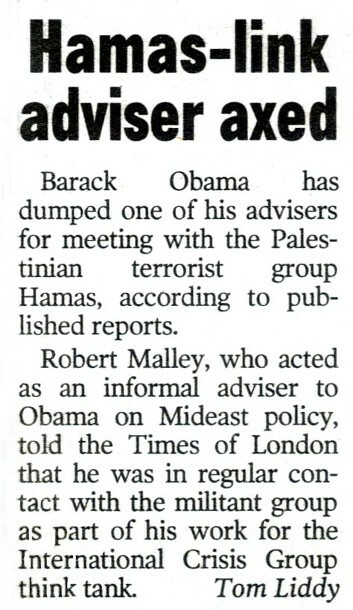 The apostle of hope seemed flummoxed by the audacity..
What is it about Obama that Attracts Hamas, Communists, and Domestic Terrorists? Marxist "Community Organizer" Saul Alinsky's son, David Alinsky, Notes that "Obama learned his lesson well"
In Artful Dodger style, Barack Obama, plays down his mentorship with Communist author Saul Alinsky. But Alinsky's son, L. David Alinsky, credits Obama for "learning his lesson well" from the Communist guru. Indeed, Alinsky Jr. who credits his late father for the success of last week's Democratic National Convention, may have done something that Obama's detractors couldn't: blown the cover on the presidential hopeful's communist leanings. No one can blame Alinsky for the pretentiousness of the Ancient Greek Temple from which Obama addressed plebes, or for the tacky neon colours on display at the Pepsi Centre, but it was Alinsky who wrote Rules for Radicals, the bible of the far left. 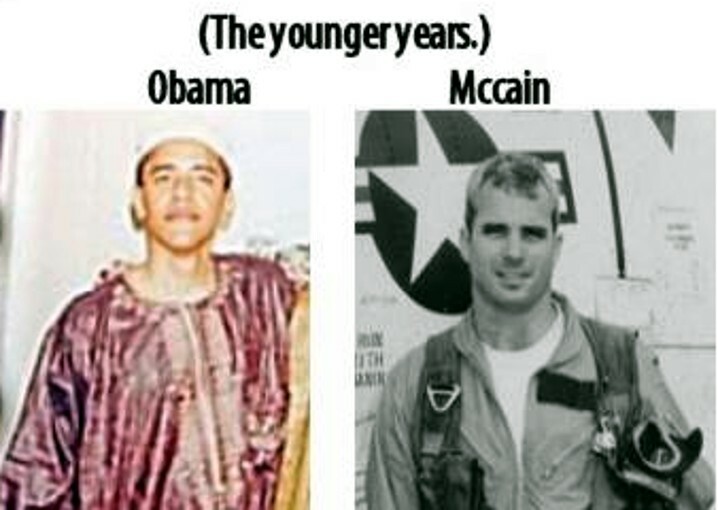 With so many Baby-Boomers retiring, America's YOUNGER voters will be paying Barack Obama's give-away for years to come. Young Voters Are Going To Pay For Barack Obama's Global Poverty Act Before the United States Senate. I say young voters will be paying for this plan of Obama's, because the Baby Boomers are in the process of retiring. This is even more money than the Bank Bailout for 700 Billion. Barack Obama wants the United States to donate 845 BILLION Dollars to the United Nations to Help the World's Poor. Please Check it out, before he removes it from his website. Please save a copy on your computer, so when it happens, you'll understand why Obama wants $2,725 from every American, including children, and people, who don't legally work in America. Where is this money coming from? And it seems to me that Obama wants the president of the United States to answer for this money. He'll have direct control of a special fund of 845 BILLION Dollars. I'm a little confused. The bill, called the Global Poverty Act, is the type of legislation, "We can – and must – make … a priority," said Obama, a co-sponsor. It would demand that the president develop "and implement" a policy to "cut extreme global poverty in half by 2015 through aid, trade, debt relief" and other programs. "It's not our job to cut global poverty," said one commenter on a Yahoo news forum. "These people need to learn how to fish themselves. If we keep throwing them fish, the fish will rot." WASHINGTON, D.C. – U.S. Senators Barack Obama (D-IL), Chuck Hagel (R-NE) and Maria Cantwell (D-WA) have introduced the Global Poverty Act (S.2433), which requires the President to develop and implement a comprehensive policy to cut extreme global poverty in half by 2015 through aid, trade, debt relief, and coordination with the international community, businesses and NGOs. Representatives Adam Smith (D-WA) and Spencer Bachus (R-AL) sponsored the House version of the bill (H.R. 1302), which passed the House in September. "America needs to do more to help the 1.1 billion men, women and children throughout the world living on less than $1 a day by helping promote sustainable economic growth and development," said Senator Cantwell. "We need to do more to save lives in the poorest countries. The U.S. needs to implement a real plan to combat poverty on a global scale while also addressing the national security risks extreme poverty creates." “Arguably no greater problem faces the world than global poverty. Nearly 2.7 billion people live on less than $2 a day and close to a billion people live on less than $1 a day. We have a moral obligation to craft an overall U.S. strategy to decrease global poverty and eliminate extreme global poverty. After introducing this measure in the House for the past several years, I was pleased to see it pass this year with overwhelming bipartisan support. This bill’s Senate introduction is a significant step toward it becoming law,” Representative Adam Smith said. For years, America has committed to improving the lives of the world’s poorest people. In 2000, the U.S. joined more than 180 countries at the United Nations Millennium Summit and vowed to reduce global poverty by 2015. We are halfway towards this deadline, and it is time the United States makes it a priority of our foreign policy to meet this goal and help those who are struggling day to day. Declares it official U.S. policy to promote the reduction of global poverty, the elimination of extreme global poverty, and the achievement of the Millennium Development Goal of cutting extreme global poverty in half by 2015. Requires the President to develop and implement a comprehensive strategy to carry out that policy. Includes guidelines for what the strategy should include - from aid, trade, and debt relief, to working with the international community, businesses and NGOs, to ensuring environmental sustainability. Requires that the President’s strategy include specific and measurable goals, efforts to be undertaken, benchmarks, and timetables. Requires the President to report back to Congress on progress made in the implementation of the global poverty strategy. This legislation is supported by a broad range of groups, including Bread for the World, CARE, Oxfam America, Habitat for Humanity International, National Wildlife Federation, Sierra Club, United Church of Christ, Christian Church (Disciples of Christ), Borgen Project, United Methodist General Board of Church and Society, RESULTS, and Micah Challenge USA. CNN: Barack Obama is lying. Please watch the below brief video. Which Barack Hussein Obama II do you believe? So when Barack Obama tells you other things, do you think he is telling you the truth? Which Barack Hussein Obama II are you seeing in the debates: The liar or the one, who at times tells the truth. 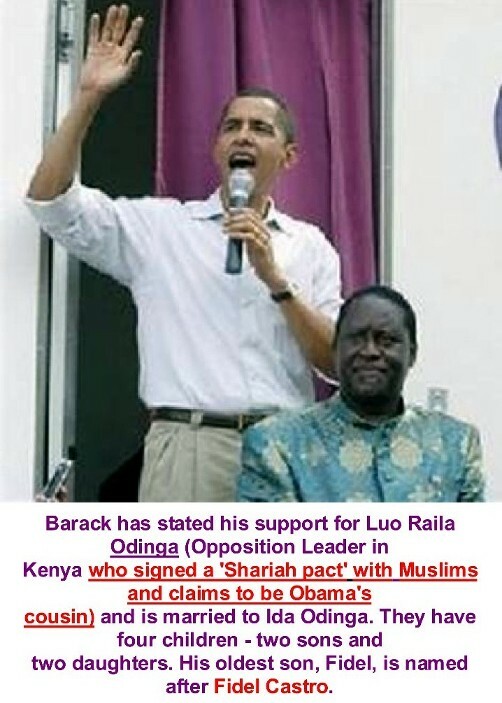 Barack Obama is connected to a number of questionable figures, mentors and advisors. Do you want them sleeping in the Lincoln bedroom of the White House? 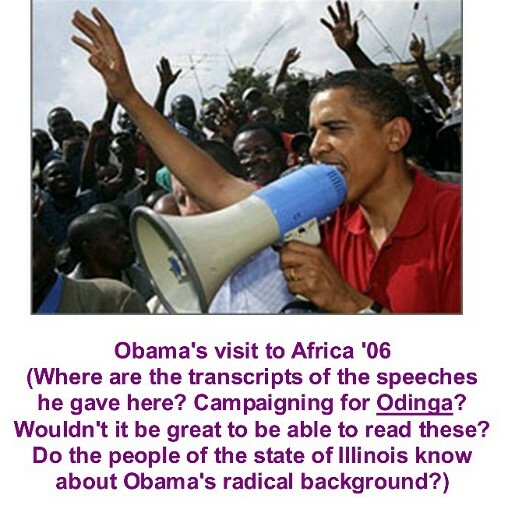 Barack Hussein Obama II still has not answered these questions. 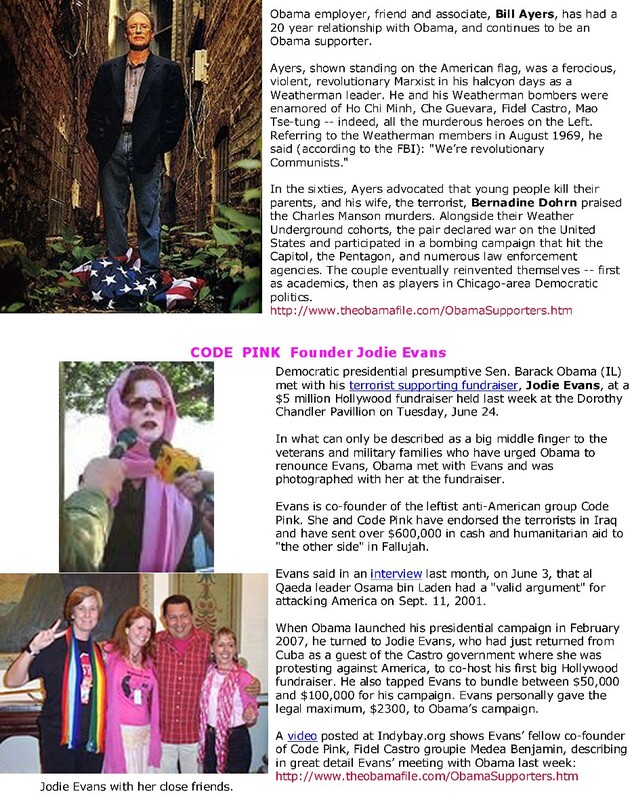 Code Pink calls all United States Marines and all military men and women war criminals. DO YOU AGREE WITH CODE PINK? Here's the Ad Barack Hussein Obama, his Far-Left Political Handlers and the Democrat Party Leadership do not want America to see. 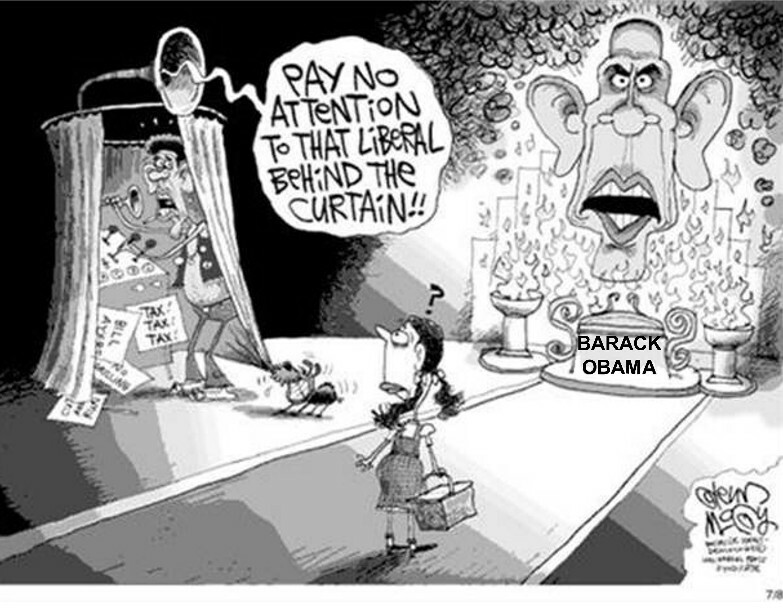 Why is Barack Hussein Obama so afraid of the truth. After watching the brief video, please do your own research of the Bill Ayers Barack Obama Connection. Please pass it around to your internet friends and please have them pass it on... and on, and on. 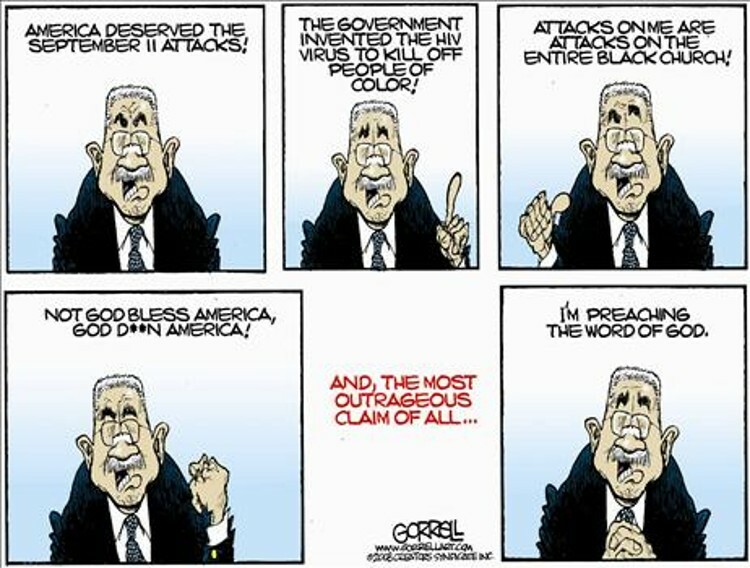 WHAT HE REALLY THINKS OF WHITE FOLKS. Barack Hussein Obama could not confront his pastor and great friend of twenty (20) years, but he wants us to believe he can confront North Korea and Iran. Hanoi Jane Endorses Barack Hussein Obama. Today, if an American celebrity did this same thing, how would the American News Media carry the story? (Or would they carry the story?) And how would the American People react...? Communists Turn 2,000 Homes Into An Ashtray. Please Press Here For Details. ABC Television News On Barack Obama_s Pastor. Please press here to watch a brief video of the report. Checkout this brief video of Barack Obama's pastor for 20 plus years. Press HERE.